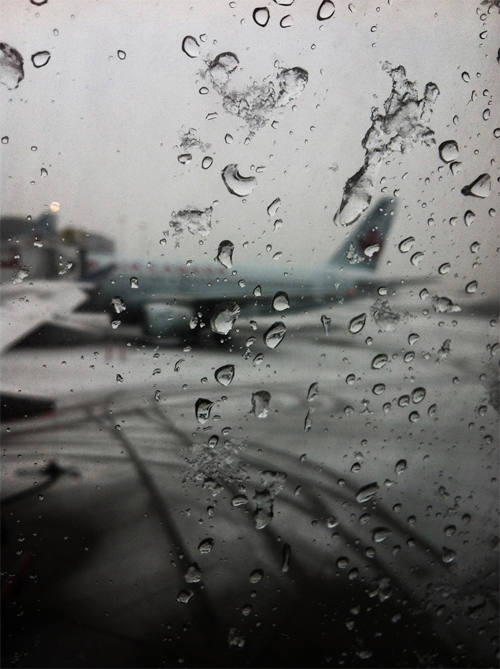 One of the first snowfalls of the winter in Toronto on the day I’m leaving. There’s been so little so snow this year and it really is pretty. I’m almost sad to be leaving. Almost. 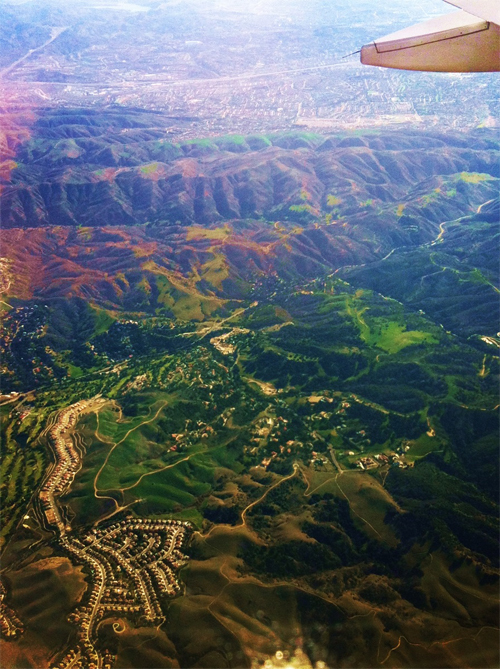 Amazing views below as we approach Los Angeles. Look at those mountains. Incredible! 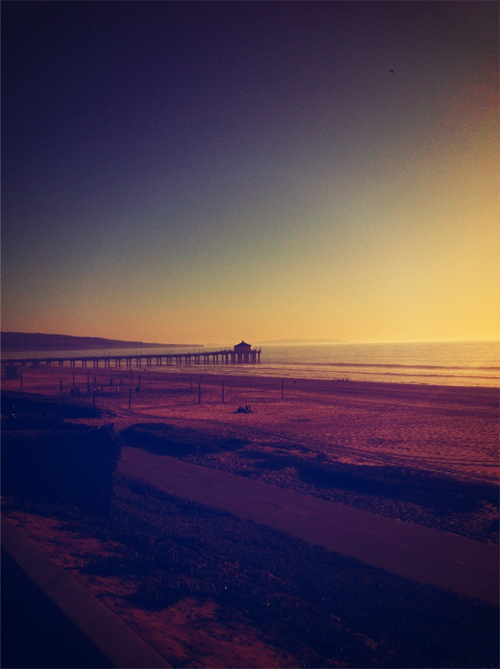 Does it get any better than dusk at the beach? No. No, I don’t think it does. What’s a trip to LA without a stop at In N Out Burger? The LAX location is amazing for planespotting. And no, I didn’t eat both those burgers. I had help. 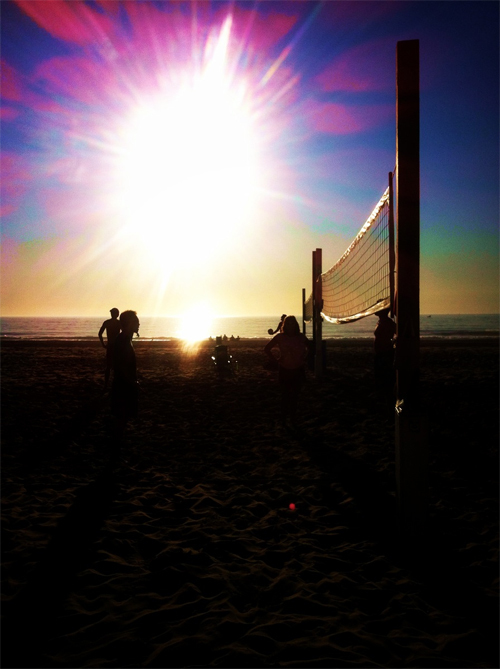 I don’t play but it’s so nice to sink your toes into the sand and watch a game of beach volleyball. 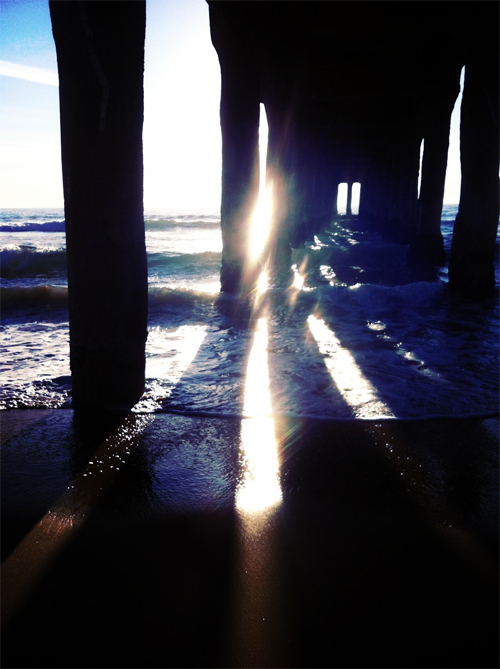 One of my favourite spots: Under the pier in Manhattan Beach. Welcome to our fav city! Love the pics! 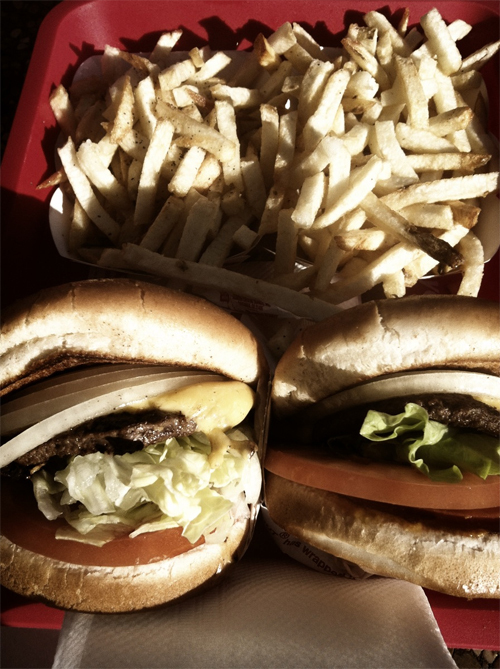 In-n-Out at LAX– also our fav spot for the every once in awhile indulgence of the best fries and cheeseburger. 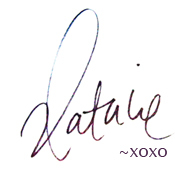 lovely pictures, Natalie! And yes! In N Out Burger! A classic joint!